Reading Time: 4 minutesWhile India is considered to be the extraordinary country with rich History, Culture, Traditions and Heritage, the major three cities of India, Delhi, Agra and Jaipur, no wonder make the Golden Triangle Circuit of India. With the perfect fusion of History, Culture, Tradition and Heritage, these three cities of the Golden Triangle Circuit can leave anyone awestruck and spellbound. While you are on your Golden Triangle Tour, you shouldn’t miss to visit the top destinations of these Golden Triangle Cities we’ve listed for you! 1 Delhi: Ye Sheher nahi Mehfil hai! Delhi: Ye Sheher nahi Mehfil hai! The land to the Magnificent Architecture, the fantasizing yummilicious Food, the Mesmerized Markets, the Lavish History and the great Hospitality. Delhi, considered being the first Destination City of the Golden Triangle Circuit, giving a warm welcome to travelers from all over the world. The perfect fusion of the Mughal Era Sultanate and Modernity, the Capital of the Country is divided into two major parts, the Old Delhi and the New Delhi. Standing tall in the middle of the city, this “Arc-de-Triomphe” is an archway that commemorates the 70,000 Indian Soldiers who gave away their lives for their Nation in World War 1. Another memorial that was added post-independence of India, Amar Jawan Jyoti, whose flames burns day and night in the memory of the soldiers who lost their lives in Indo-Pakistan War of December 1971. The massive fort made with Red Sandstone Wall, reminds the magnificent power of the Mughal Emperors. Built in 1638, this magnificent fort is a fusion of bazaars, different types of Halls and one of them hosts the Light and Sound Show every evening. This Red and White Sandstone Mughal Architectural Monument is the Asia’s largest Mosque with dazzling interiors and the massive area. Considered as another World Heritage Site, Qutub Minar is the Tallest Minar of the Country. One should not miss to explore the beautiful architecture of the Minar. The marvelous architectural monument was the tomb of the Mughal Emperor Humayun built in 1565, now is in the list of the World Heritage Sites. The house of the powers and decisions, the Parliament House also houses the marvelous architectural marvels with awestruck persona. Agra, the second city on the Golden Triangle Tour, is the land to one of the Seven Wonders of the World. Taj Mahal is another World Heritage Site with some beautiful Mughal Architectural Marvels. Don’t forget to get some famous mouthwatering “Agra ka Petha’s” packed with you! Known as Symbol of Love, Taj Mahal was built by Shah Jahan in the memory of his beloved wife Mumtaz Mahal in 1648. The white marble and the magnificent architecture make this World Heritage Site and Breathtaking Mausoleum an undying symbol of Love and Beauty. The third destination of the Golden Triangle Tour, Jaipur, is the capital of Rajasthan, the most colorful land of the Country. Showcasing the beautiful culture, hand crafted products and the magnificent architectural monuments; this Pink City will take your hearts away in no time. The striking blend of Rajasthani and Mughal architecture, this magnificent City palace has its place right in the middle of the old city. The incredible pink-painted, honeycombed hive of five storey’s, this fascinating Hawa Mahal is known as the ‘Palace of Winds”. The night lives of Delhi, Mumbai, Goa is famous but this Rajasthan Style Nightlife in Chokhi Dhani Village will leave you totally mesmerized. The packed place with traditional folk dance and music, this place offers many other activities with the mouthwatering Thali of Traditional Food. So, one shouldn’t miss exploring these magical places while you are on your Golden Triangle Tour of India. Hope you create some memories you will cherish for the rest of the lives. Happy Journey! Your posts are Very Useful Thanks For Sharing, and please keep sharing these amazing posts..! I hope I get to see them soon. Particularly the Taj Mahal. How many days would be required to complete this tour? The Golden Triangle is the most popular tourist route in India.Golden Triangle, although a bit too mainstream nowadays. Nice clicks and collection, Really these cities are the right choice to visit or enjoy your vacations. All of the heritage place are awesome It’s gives me feel like a Royal. I have only been to India once but would love to return – especially to see these top destinations! We were off-the-beaten path so didn’t get the chance to see these beautiful and famous places. I think Jaipur would be incredible! The colours are stunning. Learning about different cultures and seeing the beautiful architecture of a place is one of the things I love about travel. These locations provide those things for sure. The photos are amazing! Awesome photos! India is truly a beautiful magical place. hey Juliette, not only Jaipur, whole Rajasthan is amazing & royal land of Incredible India. As being a Travel lover, I recommend you to take 1 month for this trip and experience, discover the every aspect of the Land of King (Rajasthan).. I hope you’ll enjoy the India trip..
Of these I have seen only Jaipur. Lots are remaining. I hope I get to see them soon. hi Indrani, first of all I would thank you for reading it and sharing your view. As you mentioned you had visited Jaipur only and want to see more.. then I recommend you to have to look to this link (https://goo.gl/4B3ejv), it consists around 30-40 Golden Triangle Tour packages. So select the one you like and proceed with your Bucket List. I wish you for your tour, till then keep dreaming & travelling..
Oh wow the golden triangle looks amazing. What an amazing way to see some truly spectacular areas of India. I’d love to see the Red Fort one day. Golden Triangle is an amazing triangle for the travelers.. yes Jean, Red Fort too a must visiting monument in Delhi. Golden Triangle, although a bit too mainstream nowadays, has its own charms as it has been aptly summed up in this articles. Especially for lovers of history and architecture, there is much to explore. I would also suggest everyone to explore many other hidden gems in these epic cities. 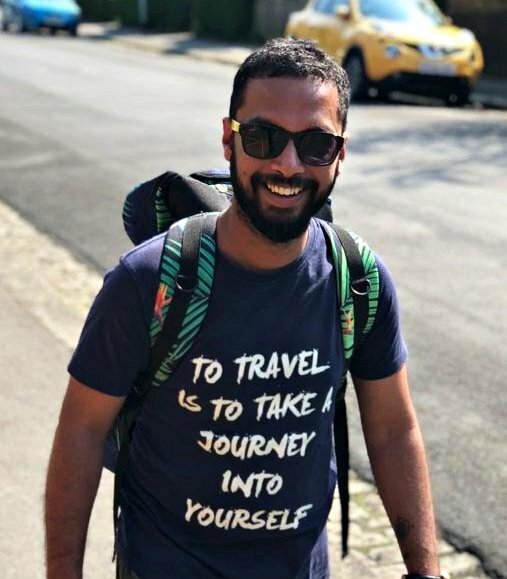 of course jitaditya, what mentioned in this blog are the main attraction, there are alot of attractions that one must experience on his/her Golden Triangle tour.. Whenever any friend or relative comes from out of India, this is the trip I take them to or advise them. You have covered all relevant places. Good list of places that attracts them to india. Archana recently posted…Is Wildcraft Trolley Backpack good for Urban Adventure? I haven’t been to India but these are compelling reasons to book a trip there! The structures look unbelievable especially the Pink City. I will surely visit these places when I get the chance. Hey Jen these are just the FEW reasons, India is a place wherein every state or city has it’s own amazing story. i really suggest you to come and explore the Incredible India once..
We’ll spend a few days in Delhi while traveling to Himachal this October so this is going to be very helpful. I love all these places but mostly Jaipur. The architecture is just stunning and detail oriented. I’ve lately seen many foreign bloggers being romanticizing these parts of India which I tend to dislike. Thanks Jamie, Rajasthan is also termed as the Land of King and that’s why this is the perfect place to experience the royal culture.. It is the classic tour. Most foreigners I know end up making it their first trip to India. Of these, Jaipur is my favourite. Not only is it rich in culture and heritage, but the food there is to die for. I can have many kachoris in a day. Yum! Abhinav Singh recently posted…#MyGrationStory of an Indian pastry chef aboard the Majestic Princess of Princess Cruise. yes Abhinav it’s true.. The food at Choki Dhani makes you experience the authentic Rajasthani food..